Click here to learn more about in-home care, senior care, assisted living placement services and skilled home health care. Home Care-In-home care services tailored to your needs. Our team of home care experts guarantees your loved ones receive the high level of care they deserve. At Always Best Care, you'll find only the best caregivers trained to help seniors and very knowledgeable in the issues that can make senior care a rewarding experience. Assisted Living Placement-To help guide you through the maze of assisted living communities, independent communities and residential care homes, Always Best Care visits or evaluates many facilities in our markets. If you need help selecting assisted living facilities that are ideal for your loved ones, let us provide our expertise. Alzheimer's & Dementia Care-Specialized home care and senior care services that provide your loved ones the Alzheimer's care and other dementia care they require. Skilled Nursing-Our team of experienced registered nurses can provide clinical care for seniors that prefer to stay in their home, but require a higher level of skilled care. Our skilled home health care services are available in select locations - call your local Always Best Care office to determine if these services are available in your area. With unparalleled professionalism and exceptional care, you can count on Always Best Care Senior Services to assist with your elderly care needs. Our home care agencies have served more than 25,000 seniors across the USA and Canada. Do you need to determine which assisted living facility is right for your loved one? Let Always Best Care help you in your search. Our team is experienced in assisted living placement and we can provide the expertise you need in selecting the best community. 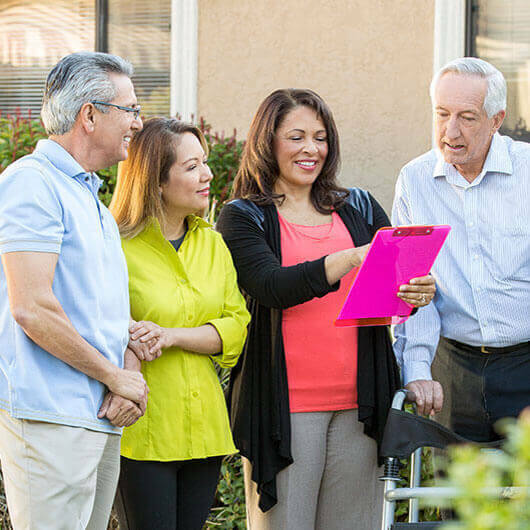 When you're searching for in-home care, we make it easy to find the home care agencies and skilled home health care agencies that specialize in the areas in which you need assistance. From elderly care to dementia care and many other senior care services, we're here to simplify your search for the care you need. Let us help in your search for assisted living facilities or any other elderly care needs you may have. Let Always Best Care help you secure the best senior care services in your area. 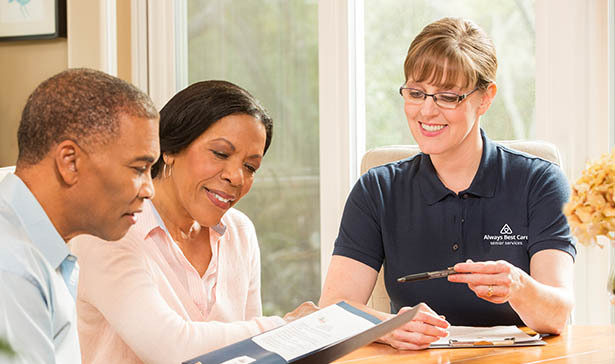 When you turn to Always Best Care for help, a Care Coordinator will help you determine the level of care you need, and will present the home care, assisted living facilities placement, and senior care services that may provide the best solution. We'll help you find the care you need at a price you can afford. When you're ready to discover a new approach to senior care, we're standing by to help. Contact us today at 1-855-470-CARE to find out more about our unique approach to senior care. Always Best Care’s in-home care service is for people who prefer to stay at home but need ongoing care that cannot easily be provided by their family or friends. An assisted living community for seniors provides care for persons who need some help with the activities of daily living, yet who wish to remain as independent as possible. Alzheimer’s disease affects 5.4 million Americans and, by the year 2050, researchers predict that 1 in every 45 people will have this debilitating disease. Sometimes it’s not possible to be there when your loved one needs to take their medication. The Philips Medication Dispensing Service makes it easy to know what medication to take at what time. Anyone can fall or become ill during the night. If someone lives alone, a fall or illness during the night can be disastrous. Who will know? When will help come?